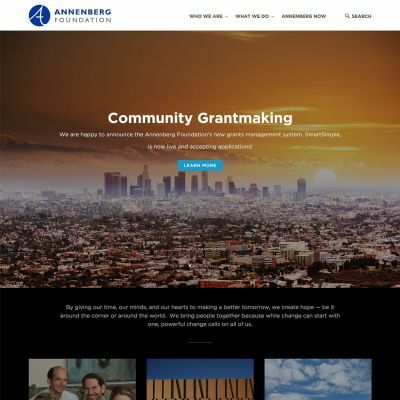 I had the privilege of working with the awesome team over at Annenberg to convert their Drupal site/codebase on two projects over to WordPress: Annenberg Space for Photography and Annenberg Foundation. On both, admin workflows were simplified and improved upon, wherever possible. Definitely check out the great work they do if you get the chance!